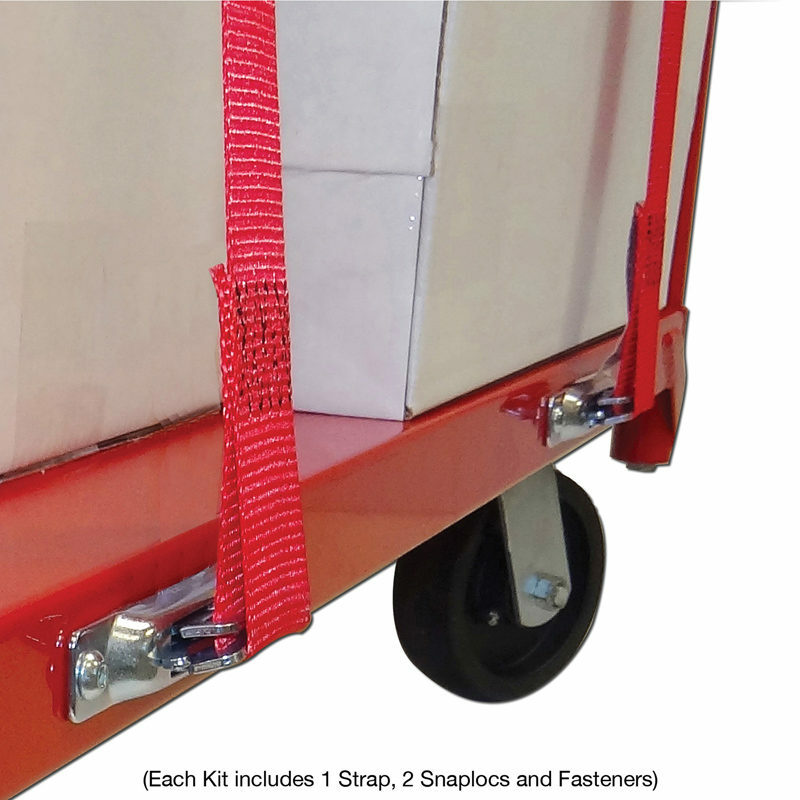 Includes 1 Cam 2×16, 2 Zinc, 4 Carriage, 4 Washer, 4 Nut. 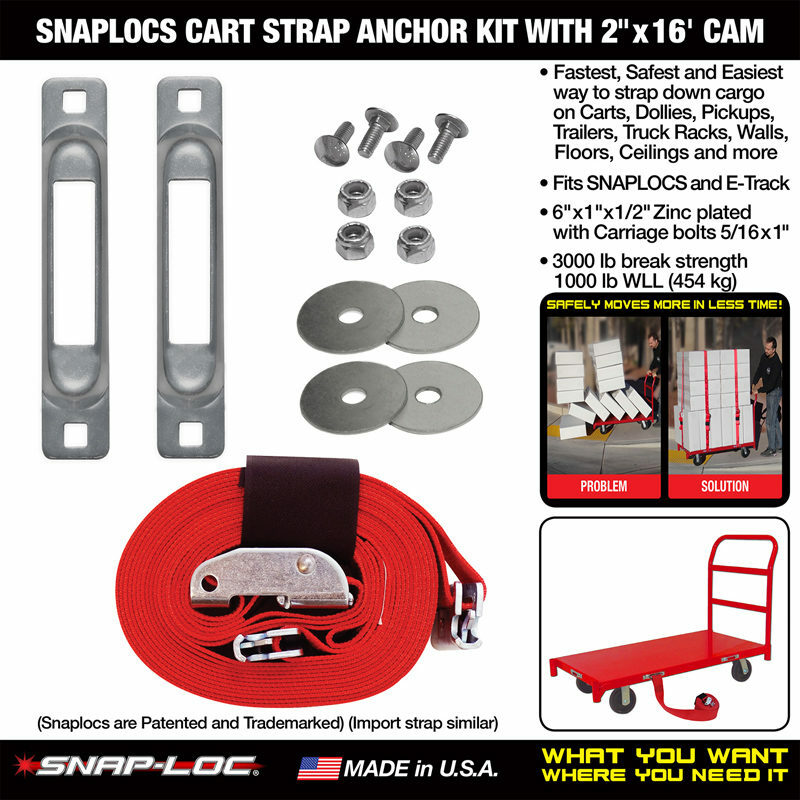 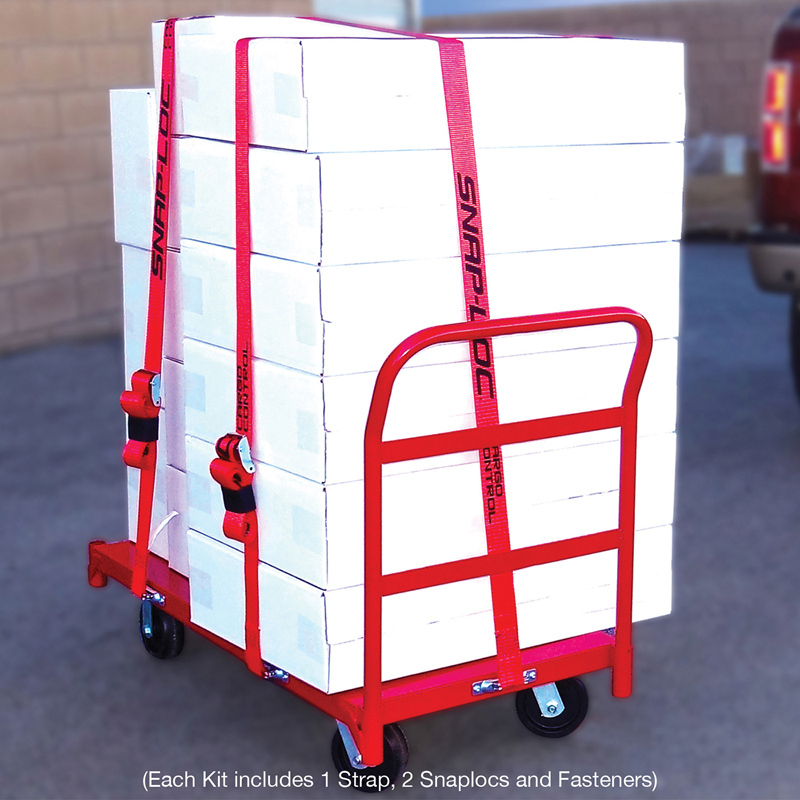 SNAPLOCS are the “Fastest, Safest and Easiest” way to strap stuff “Where You Need It” on carts, dollies, trucks, trailers and more! 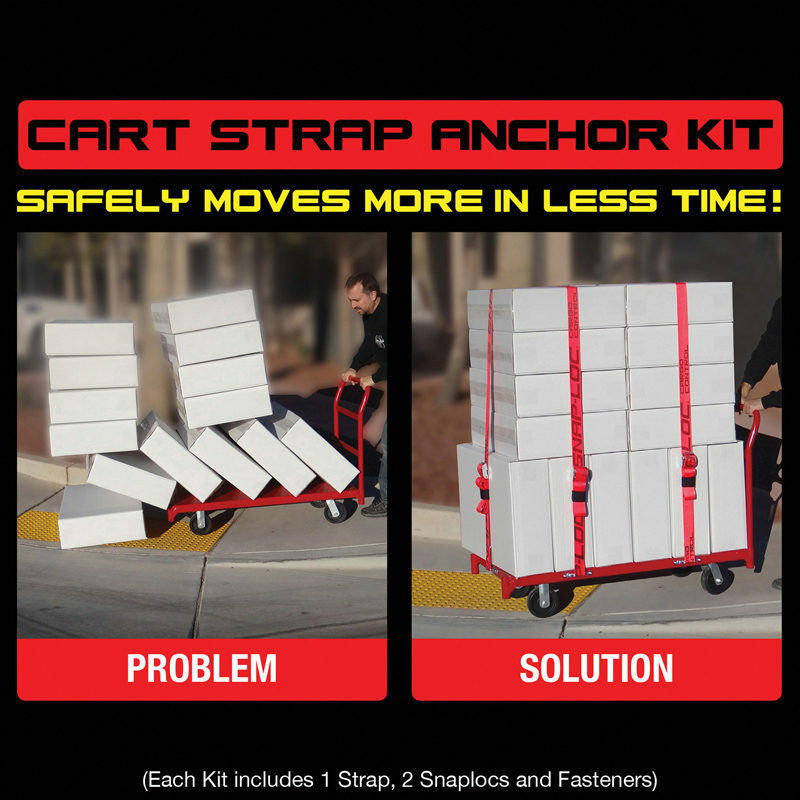 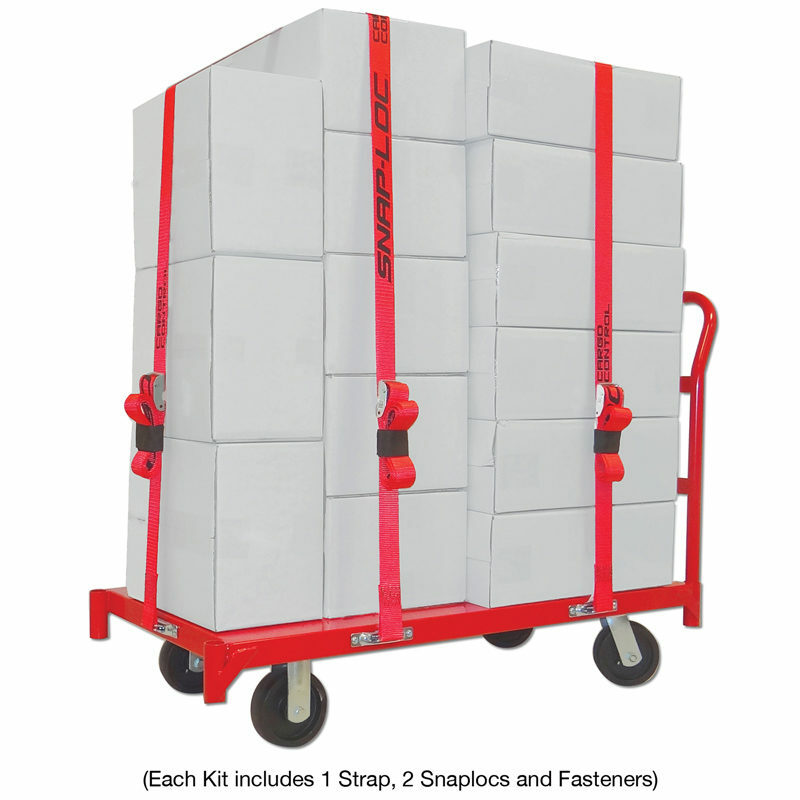 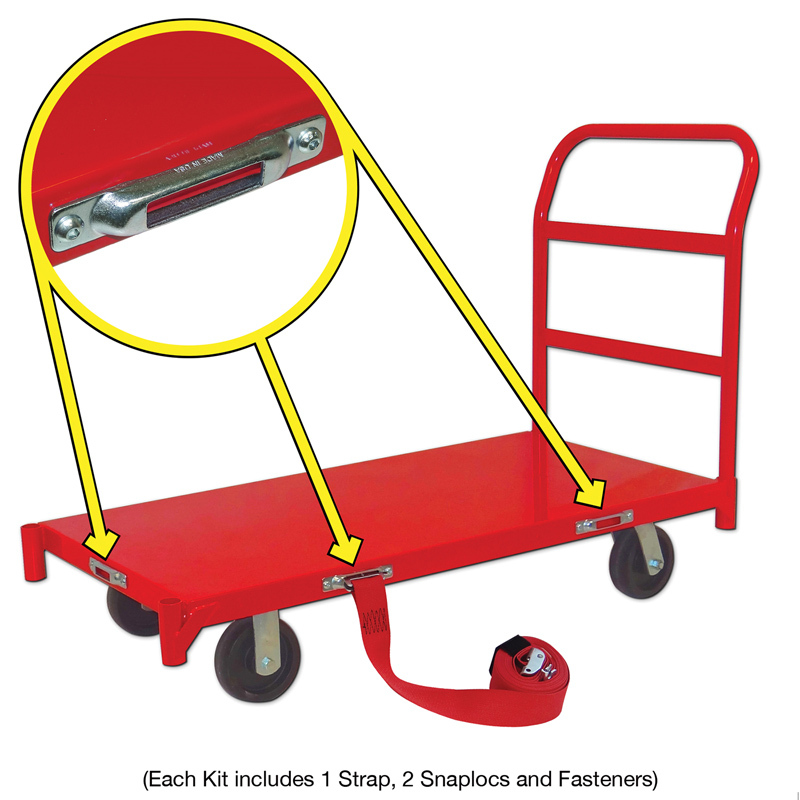 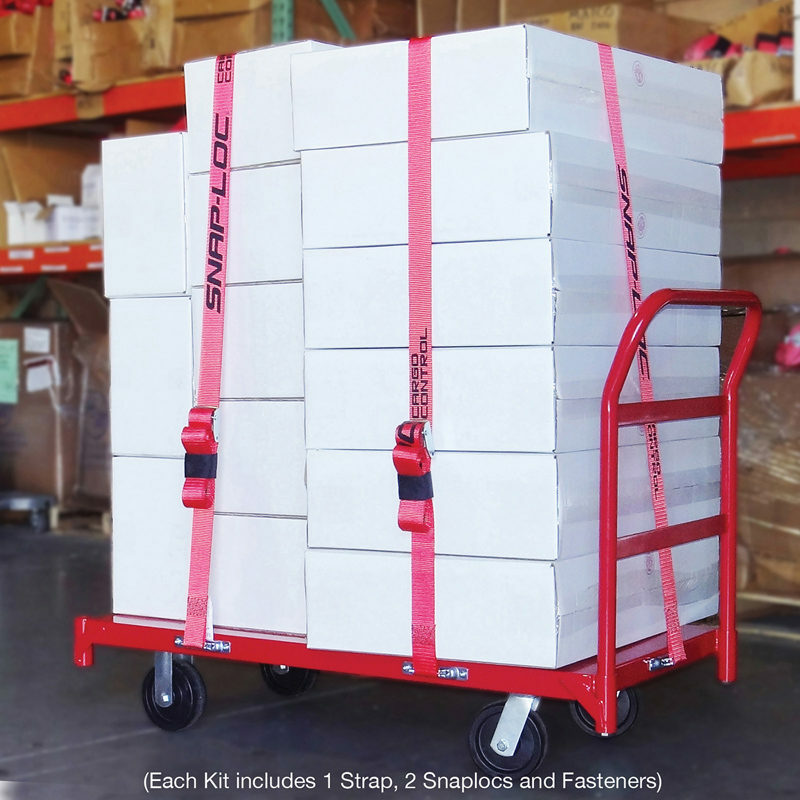 Strap items securely to carts improving operator safety and reducing expensive damage to items that tend to slip off a standard strapless cart. 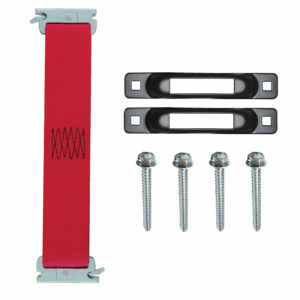 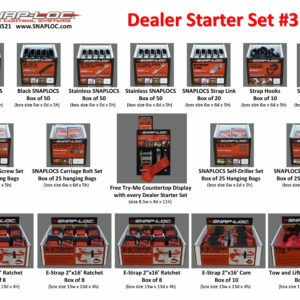 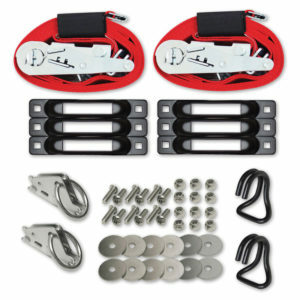 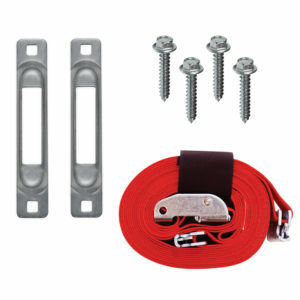 Pack includes 1 E-Strap 2 inch x 16 foot Cam, 2 Zinc SNAPLOCS, 4 Carriage Screws 5/16 x 1 inch, 4 Washers and 4 Nylock Nuts. 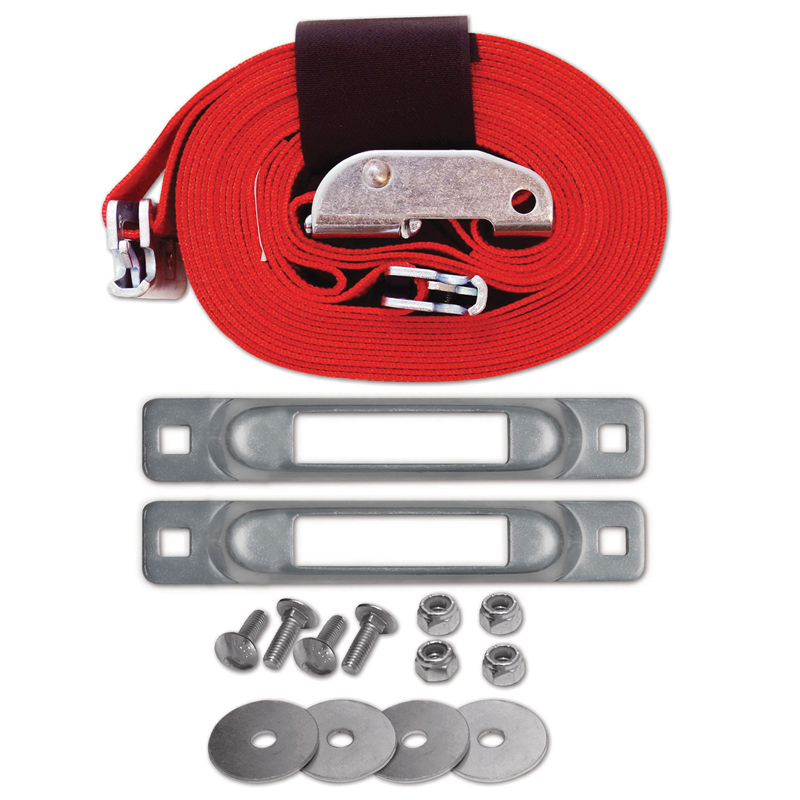 E-Strap is made from thick 2 inch wide USA heavy duty polyester webbing with built-in Cam Buckle, 18-inch lead end and overall length of 16 feet with sewn-in Hook & Loop Storage Fastener.